CHIC DESIGN Sleek, looks sharp on the kitchen table and fits perfectly on refrigerator shelf. 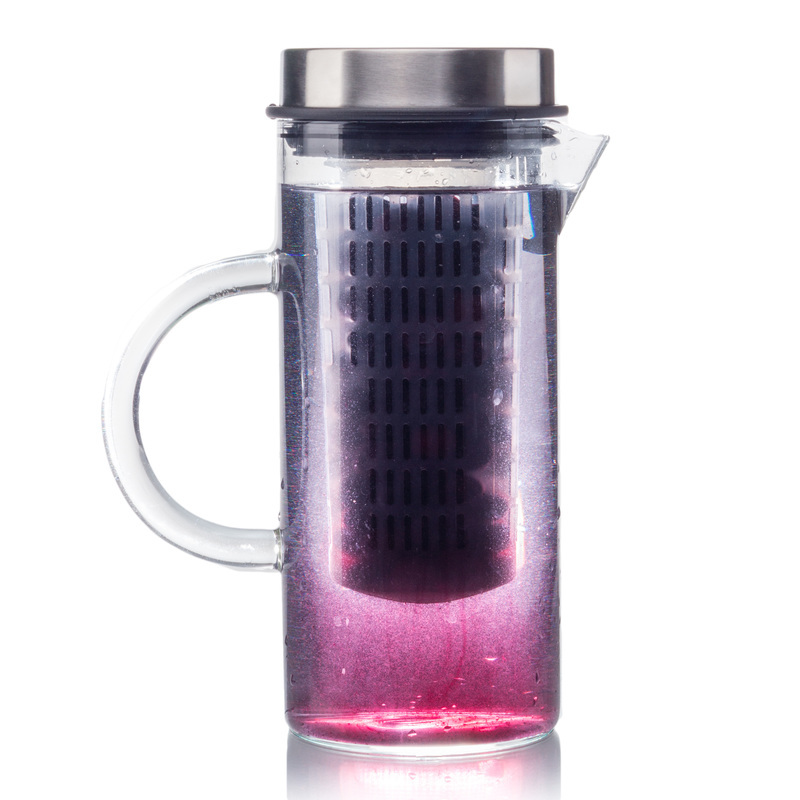 As with all bobuCuisine products, the infuser offers a creative, modern design. STYLISH PACKAGING MAKES FOR A PERFECT, HEALTHY GIFT. STAINLESS STEEL AIRTIGHT LID Stainless steel lid prevents leakage and is easily removed for cleaning. Built in strainer for a delicious drink. Won't leak so it's safe to store anywhere. REPLACE SODA IN YOUR HOME Drink way more water. Perfect for detox water recipes and encourages you to hydrate with a healthy alternative to sugary juices and sodas. FLAVOR INFUSER CAN BE FILLED WITH YOUR FAVORITE RECIPES - Fill the basket with fresh fruit, herbs and spices or your favorite combination of flavors for those hot, summer days. The basket can be easily removed to add ice, herbs or additional fruit. 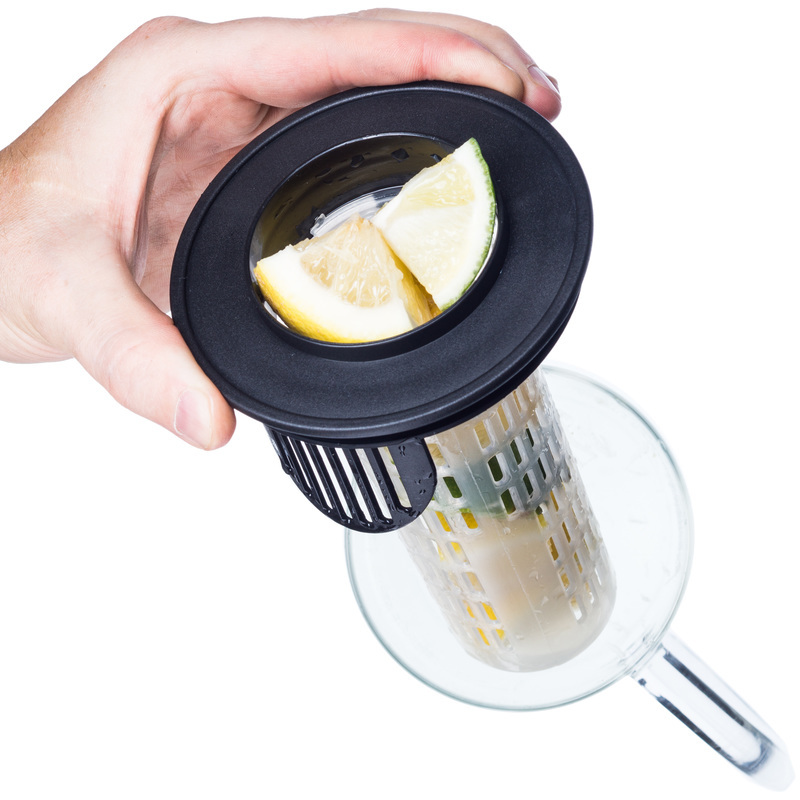 Remove the infuser and just use it as a regular pitcher. 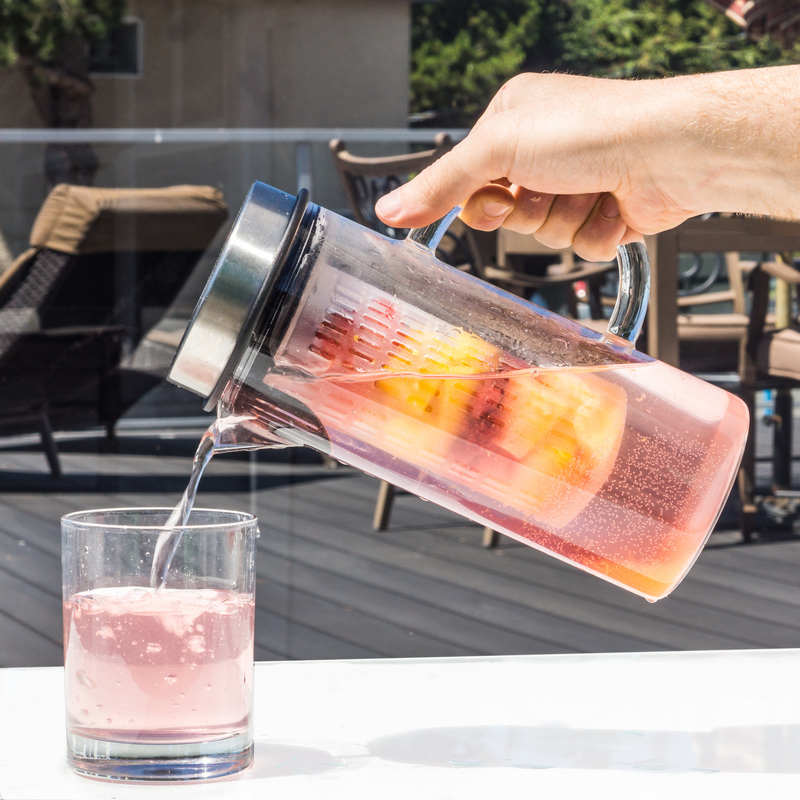 BRING THE SPA TO YOUR HOME Add one of these bobuCuisine Infusion Pitchers to your fridge and you'll feel like you're having a drink at a spa every day without leaving home. 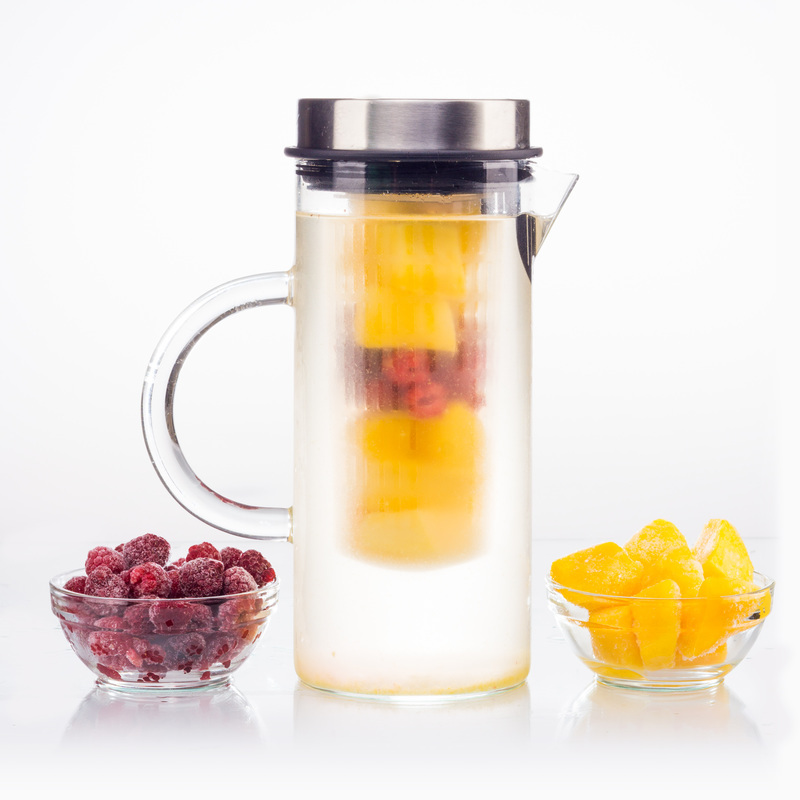 It's so easy to use and you will love the uncomplicated way in which you may add your favorite fruits to the pitcher. You'll be drinking more water without even realizing it. STURDY GLASS HANDLE & PITCHER - High-Quality Borosilicate Glass; lighter and stronger than regular glass. NOT MADE OF PLASTIC. 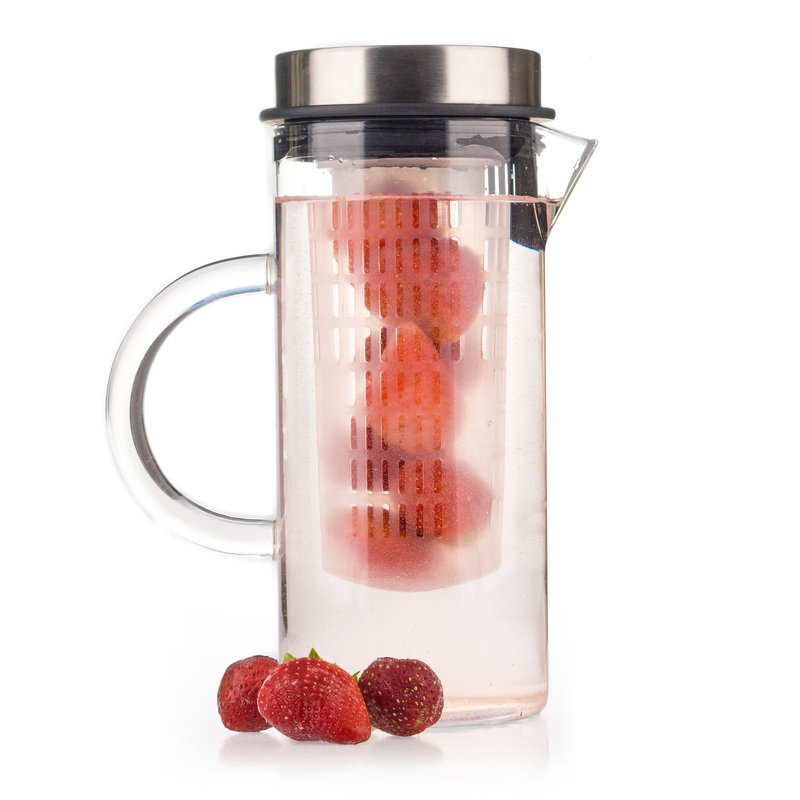 LIFETIME WARRANTY We believe in our infuser pitcher. ORDER NOW WITH NO RISK. We pride ourselves on offering premium products and back that up. If you're not happy with your pitcher or any of our bobuCuisine products, neither are we - and that's why we offer a No Questions Asked Money Back Guarantee. Order today.